Galaxies are like snowflakes, with no two looking exactly the same. The latest image released from the Hubble Space Telescope shows a striking face-on spiral galaxy named NGC 3982, which is a swirl of activity and star birth along with its winding arms. The arms are lined with pink star-forming regions of glowing hydrogen, newborn blue star clusters, and obscuring dust lanes that provide the raw material for future generations of stars. The bright nucleus is home to an older population of stars, which grow ever more densely packed toward the center. NGC 3982 is located about 68 million light-years away in the constellation Ursa Major. The galaxy spans about 30,000 light-years, one-third of the size of our Milky Way galaxy. This color image is composed of exposures taken by three different instruments, taken over a substantial portion of the space telescope’s life, from March 2000 and August 2009: The Wide Field Planetary Camera 2 (WFPC2), the Advanced Camera for Surveys (ACS), and the Wide Field Camera 3 (WFC3). 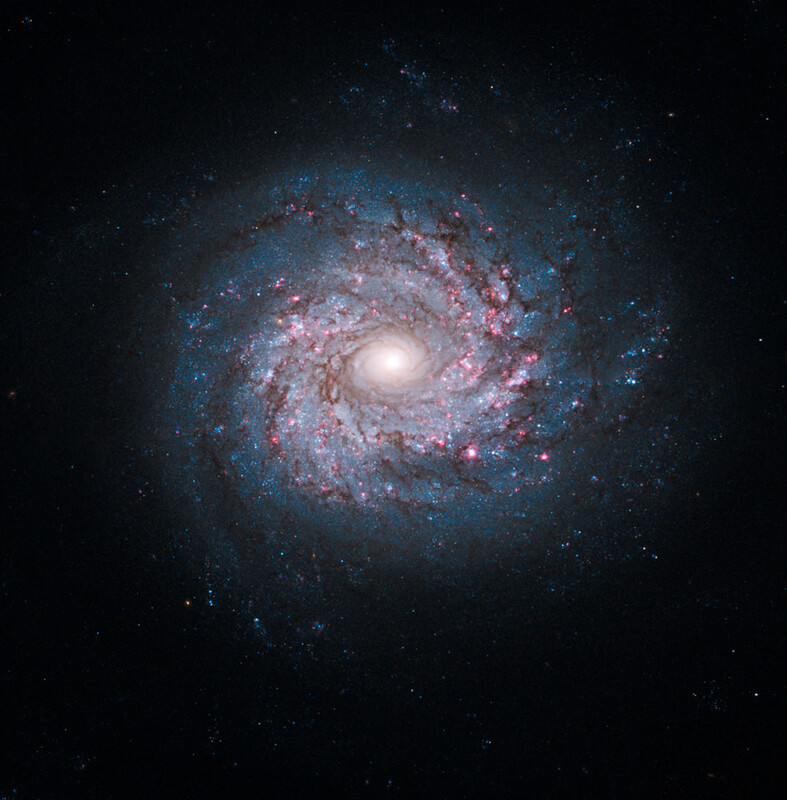 The observations were taken between The rich color range comes from the fact that the galaxy was photographed in visible and near-infrared light. Also used was a filter that isolates hydrogen emission that emanates from bright star-forming regions dotting the spiral arms.